B.S. Applied Chemistry (City University of Hong Kong) 2013. M.Phil in Chemistry (The Graduate Center, CUNY) 2018. Vincent is an M.Phil graduate at The Graduate Center, CUNY, from the inorganic sub-discipline. He joined Prof. Burton-Pye’s group in April 2018 working on luminescent nanomaterials. Current research: Functionalization of persistent luminescent nanoparticles with lanthanide complexes as a novel imaging agents. Previous research: Catalytic conversion of polysaccharide in food waste to platform molecules. Medicinal applications of organometallic gold compounds. Ph.D. candidate at The City University of New York working in the nanotechnology and materials science sub-discipline. She works under the direction of Dr. Lynn Francesconi and Dr. Benjamin Burton-Pye. She received her Master’s degree from The Graduate Center of CUNY and her Bachelor’s of Science in chemistry from Baldwin Wallace University in Berea, Ohio. One of her research projects focuses on the manipulation and speciation of technetium containing polyoxometalates for use in identification of technetium containing compounds in used nuclear fuel tank waste. She also investigates photoreduction capabilities of nanomaterials for the reduction of technetium in aqueous solutions. Now entering her final year of study at CUNY, Colleen was awarded the Dissertation Year Fellowship. This funding provides a means of support to assist with the completion of the dissertation during the award year. Interested in synthesis of any kind and radiochemistry. William has been working on making multi-functionalized cycled derivatives for imaging applications. Undergraduate student and researcher at CUNY, Herbert H Lehman College majoring in Chemistry. Studies and researches polyoxometalates (POMs) under supervision of Dr. Burton-Pye, where he performs synthesis of POMs and their characterization using variety of characterization techniques. In the summer of 2018 Vlad interned at Brookhaven National Laboratory (BNL) and worked in the field of nuclear chemistry under supervision of Dr. Deri and Dr. Cutler. Throughout this internship he worked for 11 weeks in Medical Isotope Research and Production program, where he synthesized ion exchange resins, constructed and worked with a 44Ti/44Sc radionuclide generator. Josselyn Zavala is an Undergraduate SEEK student who is working towards becoming a Geriatric Physician and who will be graduating with her Bachelor of Art in Social Work in May of 2018 from Lehman College. 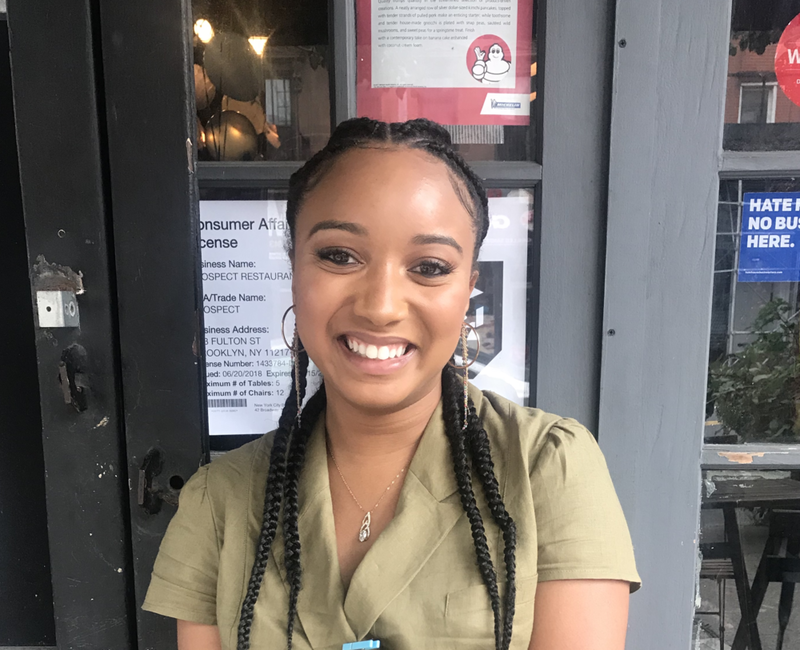 Josselyn is currently interning at an Agency for Older Adults called Neighborhood Self-Help by Older Persons Project, Inc. (SHOPP) where she will be a part of the NSHOPP VIP Elder Abuse and Crime Victims Assistance Program. There, she will be helping reduce the effects of Domestic violence and help prevent the victimization of the elderly. In her spare time, Josselyn enjoys volunteering and doing Community Service. She is currently doing both her internship and volunteering at Moses Adult Emergency Department and Columbia Medical Center. As a Pre-med and Social Work student, she is presently involved in the Social Work club as Public Relations and in MAPS (Minority Association of Pre-Health Students) as the Event Coordinator. Josselyn is working with us to develop "smart" persistently luminescent particles. Sheila Davila is a Junior at CUNY Lehman College majoring in chemistry through the pre-med track. After graduation she hopes to continue on her education by attending medical school to pursue her lifelong dream of becoming an emergency room pediatrician. She’s part of the SEEK program at Lehman and is a member of Lehman’s Women’s swimming and diving team. This past summer she volunteered at Jacobi Hospital through the Mentoring in Medicine Program as well as participating in Benjamin Burton-Pye research lab. Sheila is working with us to develop "smart" persistently luminescent particles. Weldy is a third year chemistry major at Lehman College. She is part of the SEEK, and HSSTEM programs which introduced her to the Burton-Pye group. Weldy is an aspiring pharmacist with an obvious passion for chemistry. Her hobbies include reading, and studying chemistry in her spare time. Weldy is currently working on chemiluminescence and developing low-cost flow devices for fluorescence and electrochemical applications. Akemi Kemp is a full time student in Lehman College currently working on getting a Bachelor's degree in Chemistry. Her dream in the future is to become a Forensic Science Technician. During summer 2018 she had the opportunity to work in the Burton-Pye Lab through the HSSTEM program. Akemi has caught the research bug and describes that summer as "the most awesome experience she ever had!". Akemi is currently working chemiluminescence and developing low-cost flow devices for fluorescence and electrochemical applications. Read, in which she encouraged and read to children in the waiting room of the clinic. She also served as a patient care volunteer in the clinic, performing various medical assistant tasks such as triage and exams. She is now a part of the Burton-Pye lab making and studying NIR-emitting lanthanide complexes. Shashauna graduated from Lehman College in Spring 2017. Whilst studying for the MCAT, Shashauna is currently a consultant for Bronx Conmunity Health Network (BCHN). She would like to work in the maternal- infant health or pediatrics field. Shashauna worked on synthesizing lanthanide complexes of amino acid-functionalized cyclen derivatives. Gabrielle is an aspiring pharmacist at Lehman college. She worked with us on the synthesis of di-and tri-substituted cyclen derivatives. Ann Palathingal was born and raised in Queens, NY. She graduated from Lehman’s Macaulay Honors College with a BA in Chemistry in 2017. Ann worked on a polyoxometalate (POM) project from Fall 2015-Spring 2017. In the lab, she synthesized rhenium-based POMs and studied the stability of these compounds using CV, IR, NMR, and UV-Vis to assess the possibility of using POMs to store radioactive waste. She currently works at Lehman’s Academic Center for Excellence (ACE) as a certified writing tutor and academic coach. Ann hopes to matriculate into medical school by the fall of 2019. In her spare time, she volunteers at a free clinic for the homeless and spends time with family and friends. Nosakhare Uwoghiren is a Dean's list Herbert H. Lehman College graduate with a BA in Chemistry. Nosa is currently preparing applications to dental school. Her research experience has strengthened her lab skills and her alertness to detail. Nosa worked with us on the synthesis of luminescent silica nanoparticles and their chemiluminescence properties. Worked on the synthesis of amino acid-functionalized cycles derivatives. Her favorite saying is "EVERY TIME YOU THINK THINGS CANNOT GET ANY BETTER- THEY DO!" Mitasha Palha graduated with her Bachelors of Science in Biochemistry at Lehman College in May 2018. In addition to being a Macaulay Honors Scholar, she is also a Horace W. Goldsmith Scholar, Dream US scholarship Recipient, and Phi Beta Kappa honoree. 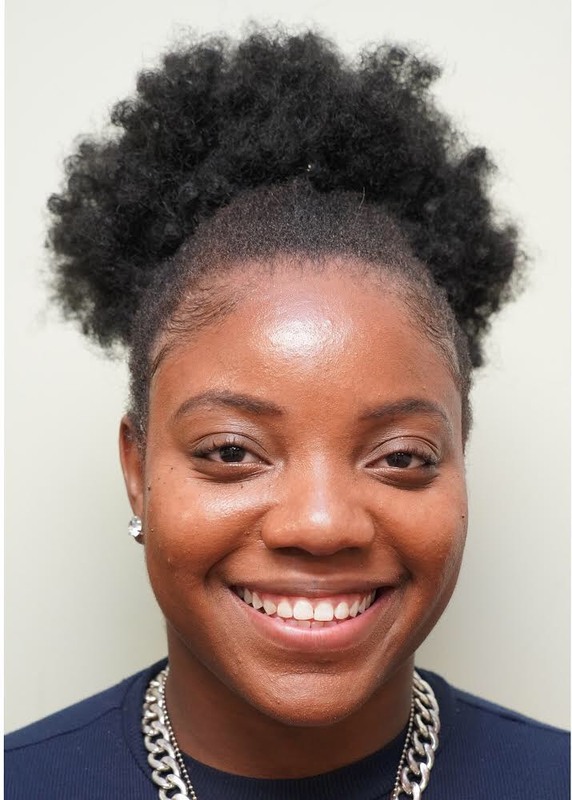 She has also presented her research at several conferences, including the ACS National Meeting and Exposition in New Orleans, LA and Gulf Coast Undergraduate Research Symposium in Houston, TX. Mitasha is currently enrolled in the Ph.D. Program in Molecular Biology and Biochemistry at the University of Maryland, Baltimore, in hopes to pursue a career in Research and Development in the Biopharmaceutical Industry. Mitasha worked with us on the synthesis of tri-peptide scaffolds towards the development of radiopharmaceuticals and developing colorimetric techniques for the analysis of soil from the U.S. and Poland. Stacy is a Lehman College Alumni. Soon after graduation, she became a Chemistry Adjunct at Lehman. Stacy is currently pursuing a career as a Physician Assistant and would like to specialize in Women's Health. She enjoys playing Volleyball and interior decorating as a hobby. Stacy worked with us on synthesizing keplerate polyoxometalates and luminescent silica nanoparticles.